Love natural materials? Adore the look of granite? Enjoy having a home that’s easy to clean? Whatever the reason you’re drawn to granite, there are dozens of ways to use the stone throughout your home – your imagination is the limit! At Surrey Marble and Granite we manufacture stone pieces to suit our clients’ needs, so whether you’re looking for a windowsill or shelf to match your granite kitchen worktop, a tiled tabletop or a tiled floor, a sweeping staircase or a posh patio, we can help. One of the toughest materials on the planet, granite is inflammable and won’t be damaged by a stray spark or ember. This makes it a great choice for fireplace surrounds and mantelpieces. With dozens of beautiful natural colours to choose from and an expert cutting service, Surrey Marble and Granite make it easy for you to create a statement piece in your home. OK, we don’t expect anyone to want granite tiles literally everywhere (even we think they’d be an uncomfortable bed) but the versatility of granite tiles is often underestimated. From kitchen splashbacks to bathroom floors to patios and staircases, the options are truly endless. Tough as rock, granite is a great choice for high traffic areas, including staircases and steps both indoors and outdoors. 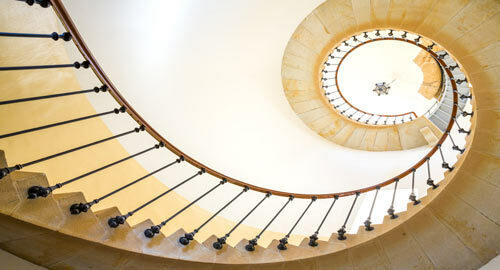 Indoors, a granite staircase transforms your hall, creating a statement piece and naturally drawing the eye. Outside, granite weathers to blend with the landscape, giving you a secure footing while maintaining the natural look of your garden. 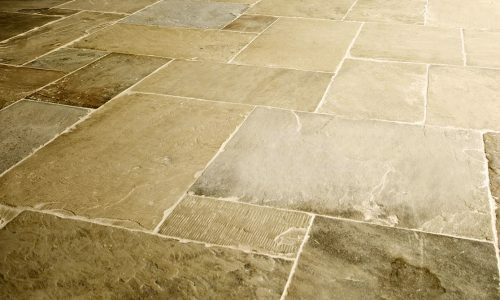 Granite is naturally waterproof and stain resistant, making it ideal for damp or wet areas. It’s easy to clean, too, often needing nothing more than a wipe with a damp cloth or a mild cleaner. As a result, it’s a great investment for your bathroom, transforming a busy, workhorse family bathroom into an elegant and relaxing space that’s still practical for bathing splashy kids. Granite tiles on the walls and floor are a great choice to create a wetroom effect while granite worktops can transform a dated sink area or vanity. Granite tiles and slabs are a great way to quickly transform a room by installing a new floor. As granite is so tough, it’s a popular choice for high traffic areas, such as the hallway or utility room. It’s incredibly difficult to stain granite, and it’s hard to chip or scratch it, so it’s a great choice for cooking and dining areas too. That said, when you look at the natural beauty of the stone you may find lots of other places where it would look great, too! At Surrey Marble and Granite we have dozens of shades ranging from pink to green, pale cream to midnight black, so you can find the exact stone to match your décor and personal style. If you are looking to add beautiful stone to your home or have any questions, we would love to hear from you. Call us on 01428 651 940 or visit our showroom in Surrey.